The U.S. web giant is stepping into gaming with a browser-based service. Console makers Nintendo and Sony lost a combined $3 bln of value on the news. Google’s scale intimidates, but victory depends on exclusive titles that can out-drive Super Mario, not just lots of servers. 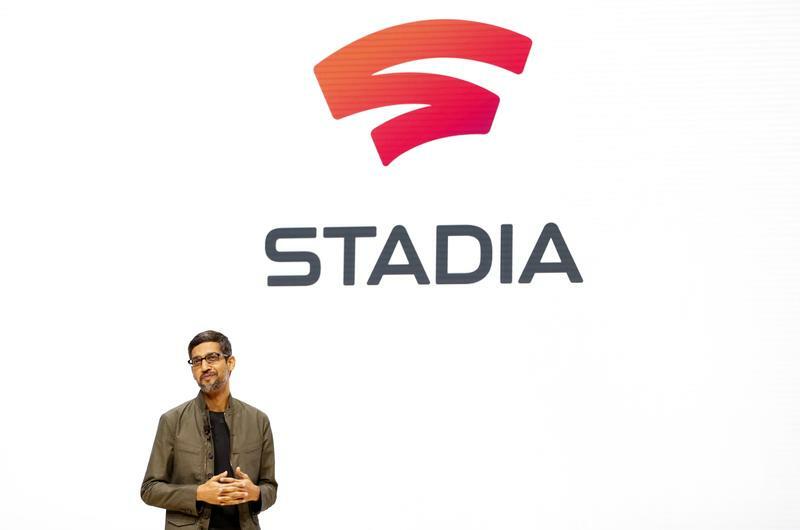 Google CEO Sundar Pichai speaks during a Google keynote address announcing a new video gaming streaming service named Stadia that attempts to capitalize on the company's cloud technology and global network of data centers, at the Gaming Developers Conference in San Francisco, California, U.S., March 19, 2019. Alphabet Inc's Google announced on March 19 that it would launch a browser-based video-game streaming service this year. The product, called Stadia, will attempt to capitalise on the company's cloud technology and global network of data centers. Google offered few details on timing, pricing or available titles for the service. Shares in Sony and Nintendo, both leading manufacturers of console gaming systems, fell over 3 percent in morning trade in Tokyo on March 20, underperforming the wider index.